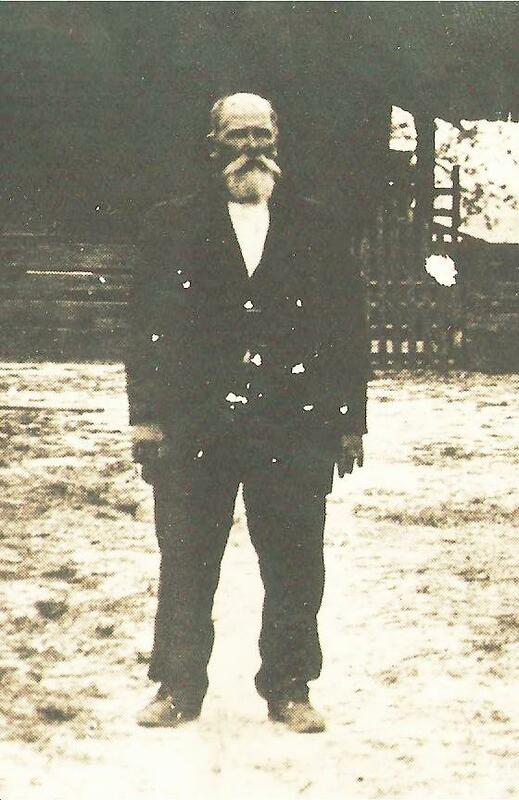 Adolpus M. Register, son of Annis Tomlinson and Moses C. Register, was raised in the Mud Creek District of Clinch County, GA. 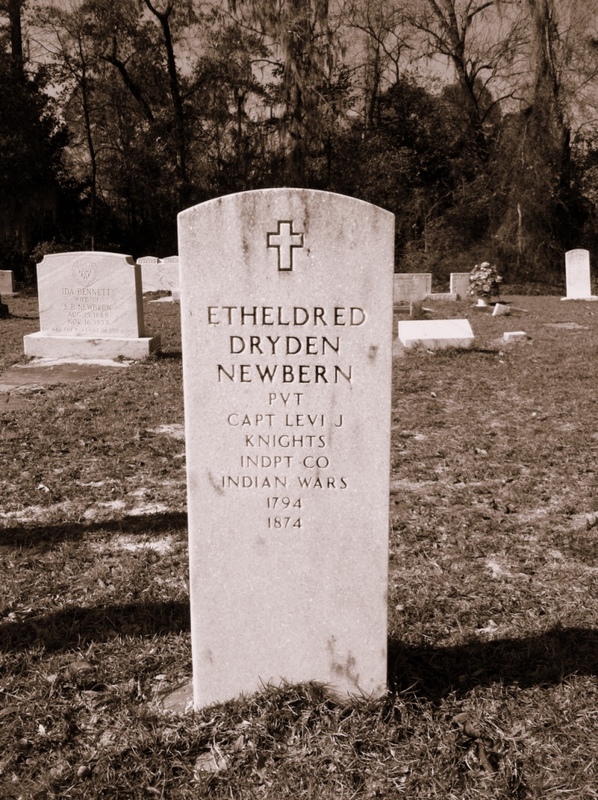 He was born October 31, 1888 in Georgia. 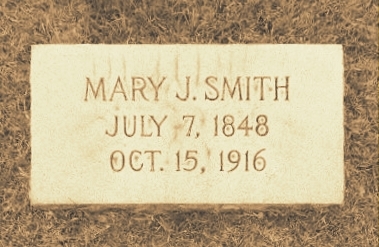 On June 18, 1916 he married 16 year-old Margaret Smith. 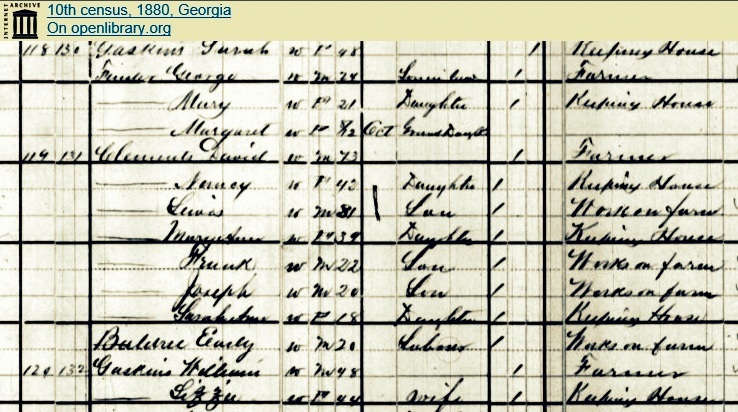 As a young man, Adolph Register worked in Enigma, GA as a Depot Agent for the Atlantic Coastline Railroad. He was a tall man with medium build, brown eyes and brown hair. 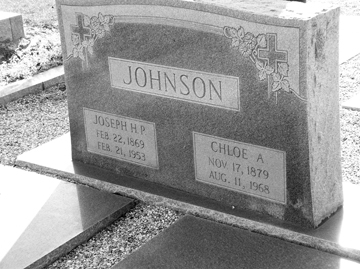 In the 1920s he was working at the railroad station in Baconton, GA where he and his wife rented a house on Railroad Street. 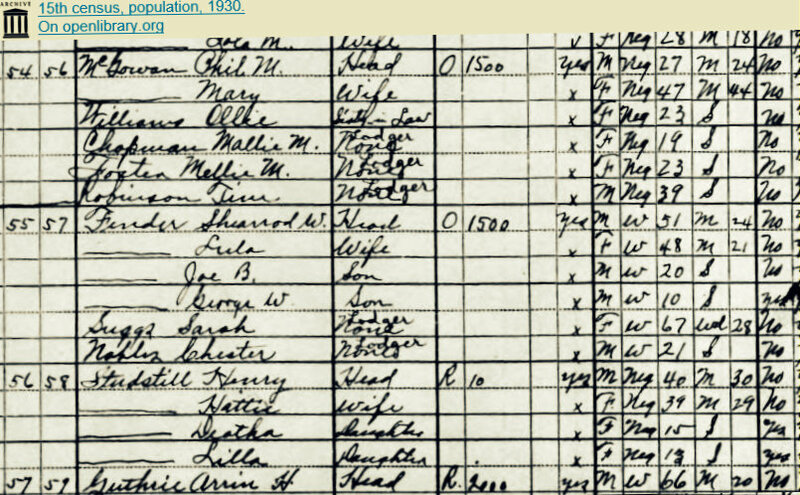 By 1930 the Registers returned to Enigma, GA where Adolph tried farming for a while. Eventually he went back to the transportation industry, working again for the railroad and later for the airlines. 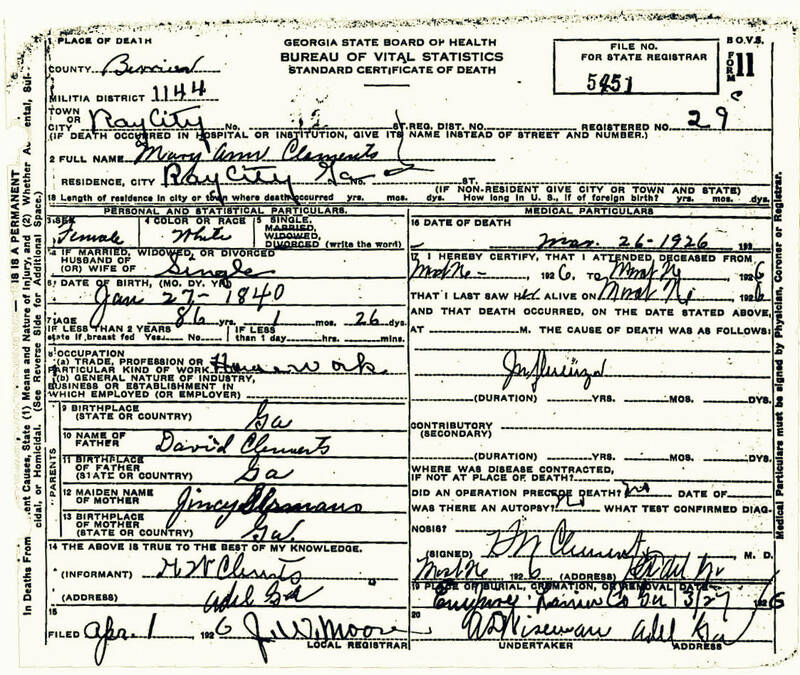 Around 1963, A.M. Register moved to Ray City, GA where others of the family connection were residing. NASHVILLE – Adolph Register, 76, died at the Berrien County Hospital here Thursday last week after a lengthy illness. 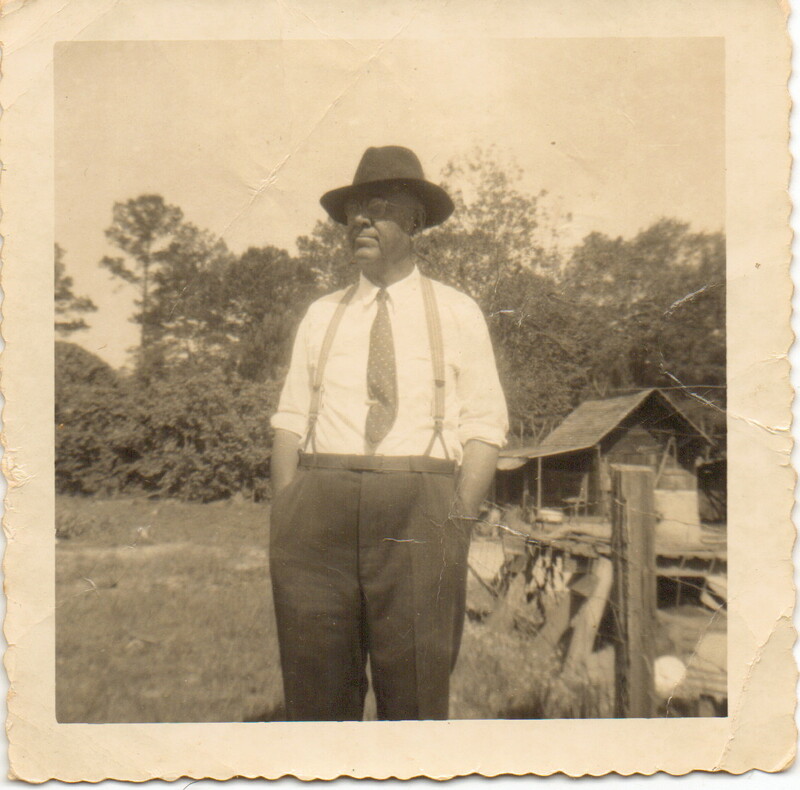 He was born in Clinch County and had spent many years with the Atlantic Coastline Railroad and the Pan American Airlines. 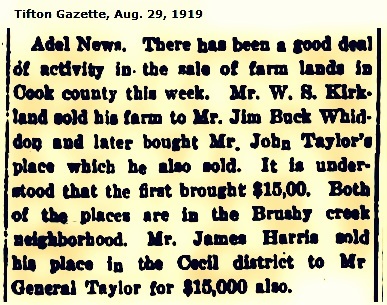 He had lived at Ray City for the past year and a half. 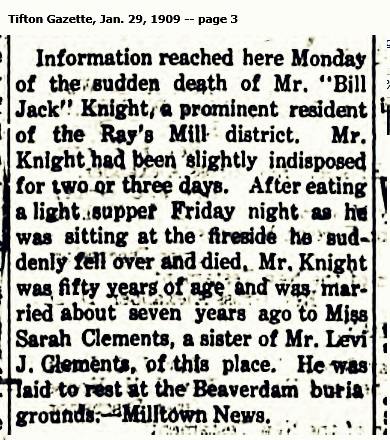 He was a member of the Railroad Brotherhood and the Methodist Church. 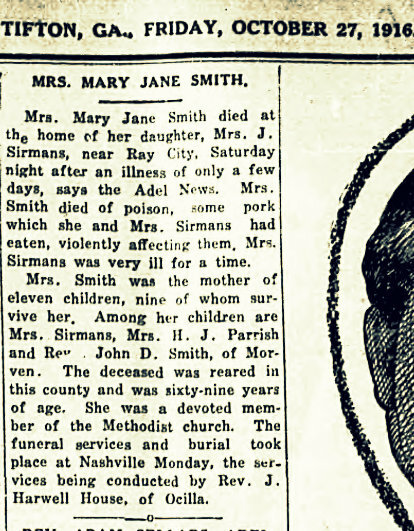 Survivors include his wife; a son, A.M. Register, Jr. of Cincinnati, Ohio; a stepdaughter, Mrs. E. L. Mobley of Ray City, a stepson, Bernard Johnson of Ray City; a sister, Mrs. Will Smith of Homerville; a brother, Mose Register of Milledgeville. Three grand children and a number of nieces and nephews also survive. Funeral services were held at 4:00 p. m. at the Ray City Baptist Church. Burial was in Fender Cemetery near Lakeland with Music Funeral Home of Lakeland in charge of arrangements. H.D. 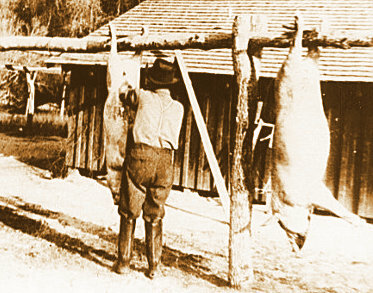 O’quinn, a citizen of Berrien County who in 1881 came from Clinch County, had been a neighbor of William and Ellen Hughes, subject of recent posts ( The Bloody Story: 1889 Murder of the Hughes Family in Clinch County, Two Men Hanged in Clinch County). 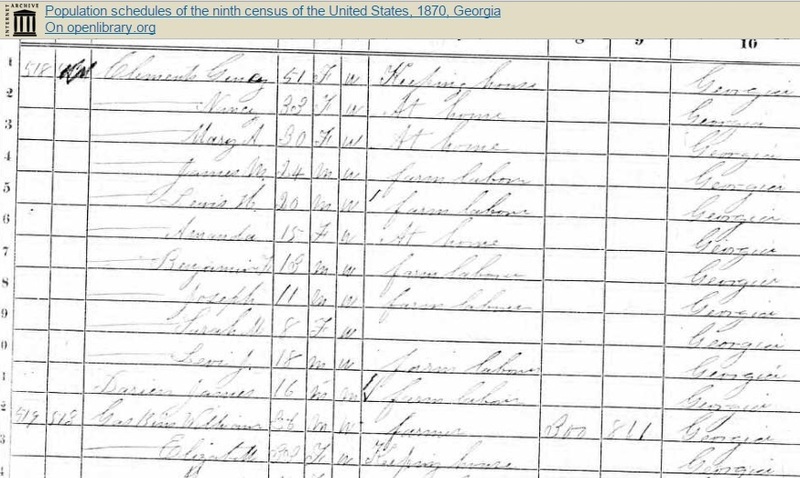 The widow Ellen “Nellie” Sellers Rice and the widower William Hughes were married in Clinch County, GA about 1874. 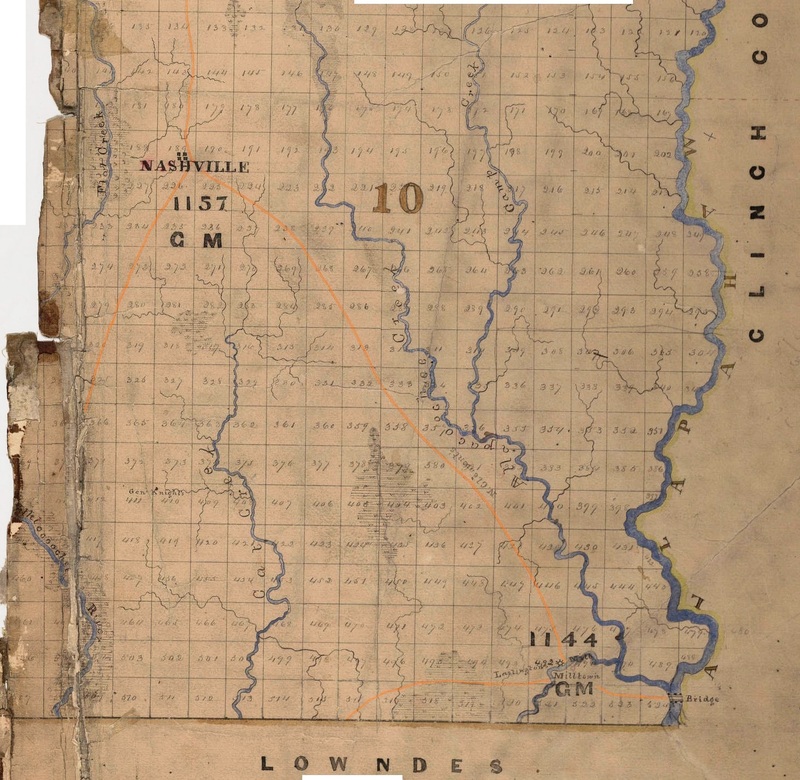 Following the brutal double axe murder of the Hughes in 1889, H.D. O’quinn wrote a condolence in the Valdosta Times. 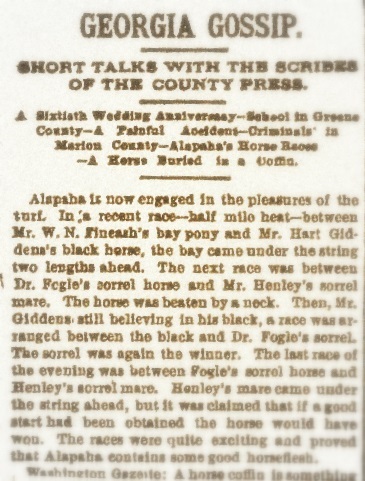 He reflected upon “an unusual coincidence” between the Hughes family and the Rice family. 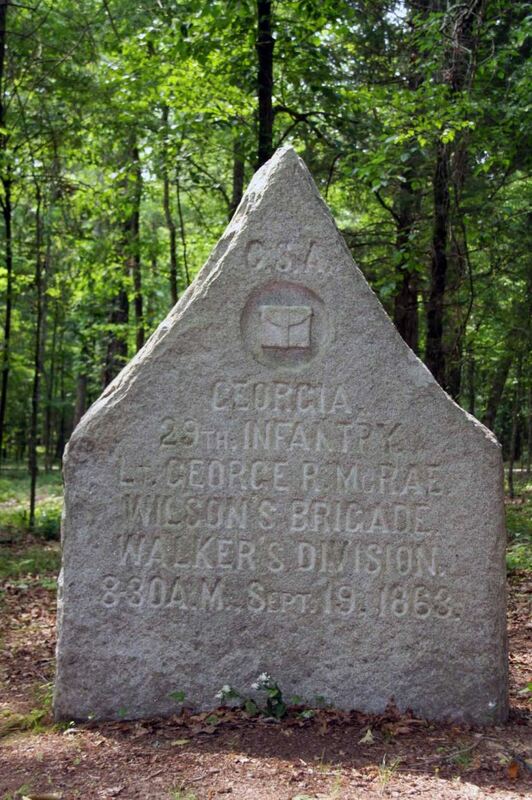 Not only were William Hughes and Nellie Rice wed, but there were four unions between their sons and daughters. 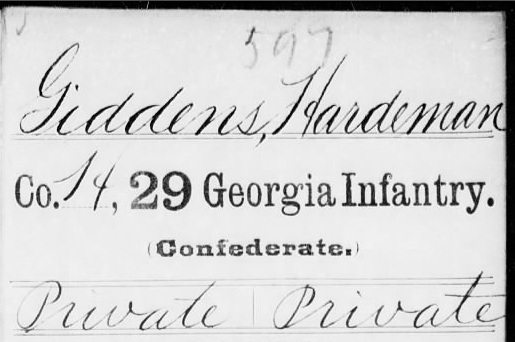 Francis Marion Hughes m. Jane Rice, 187? 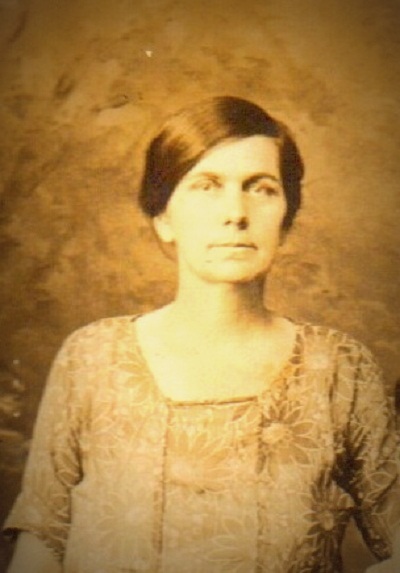 Later descendants of Ellen “Nellie” Sellers Rice and William Hughes , including granddaughters Creasy Brown and Nancy Hughes, would come to live at Ray City, GA. 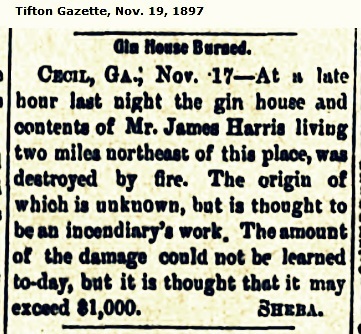 The Late Mr. and Mrs. Hughes HUMMING, Ga., Nov. 18th, 1889. Alas! Alas! How sad I feel while thinking of that awful outrage. My heart is sorely pained within me. The tenderest sympathies of my heart is enlisted in behalf of their many children, grandchildren, and other relatives and friends. 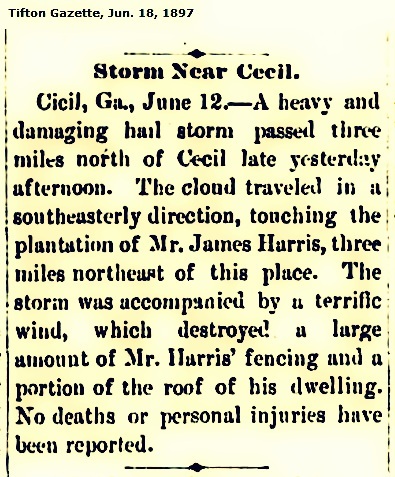 In 1865 I moved to Clinch county and lived a near neighbor to Mr. Hughes until I moved to Berrien county some eight years ago. A better neighbor I have never known. 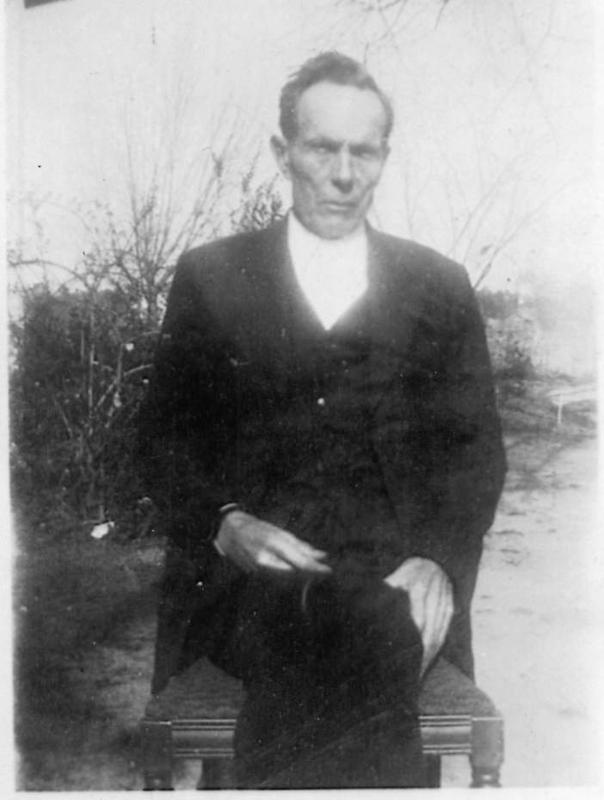 In all the relations of life he was upright, truthful, honest, industrious, economical, accommodating, kind, and benevolent, an still better, religious, being a leading member of high standing with the Primitive Baptists. 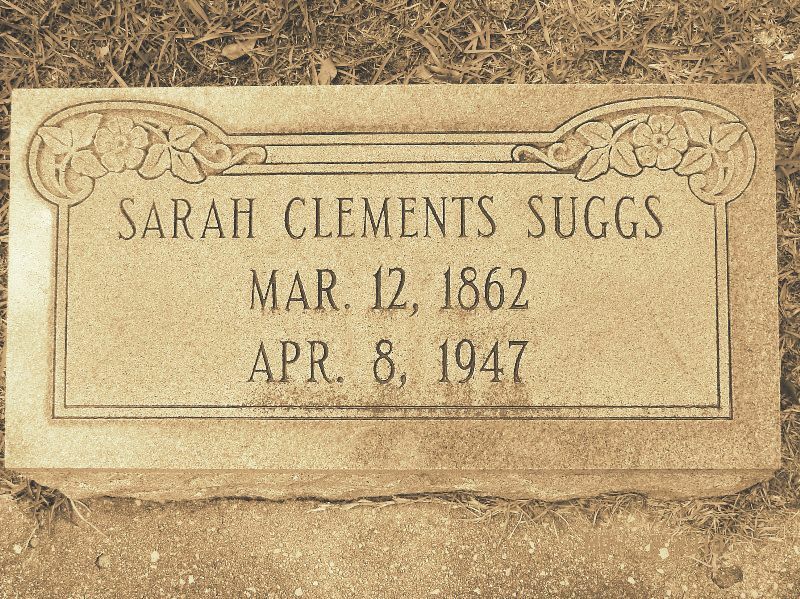 Some few years after our first acquaintance Mr. Hughes lost his first wife, with whom I was not well acquainted, but have heard she was a good woman, and no better proof of that could be given than the good qualities of her numerous family of children she left behind. 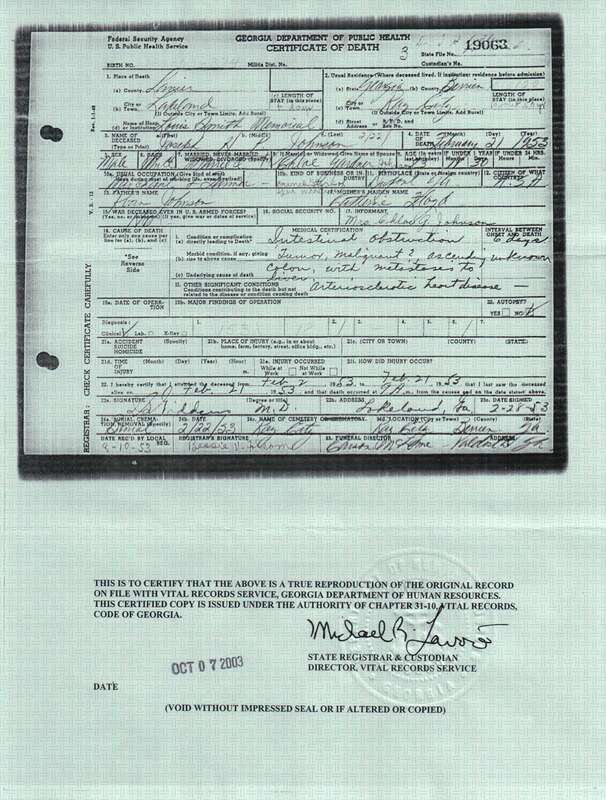 After a few years of widowhood Mr. Hughes married Mrs. Nellie Rice, relict of Mr. Guess Rice, who lost his life in the late war. All that has been said above can as truly be said of his late companion. They lived together many years in prosperity, peace, harmony and mutual affection, and in death were not divided, being barbarously slain by assassins solely for the purpose of robbery, for I have not the remotest idea that they ever had an enemy. Mr. and Mrs. Hughes each had large families of children when they were married. An unusual coincidence occurred between the two families. 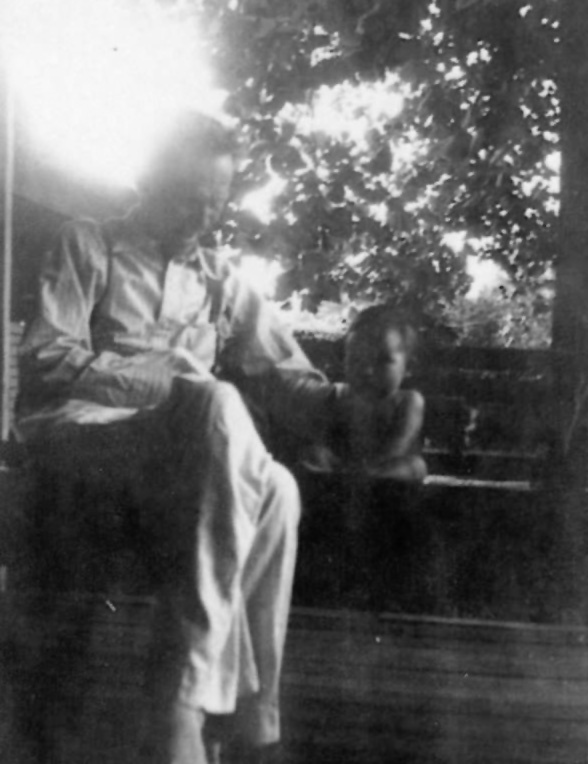 On account of their industrious, economical, moral habits and many other good qualities, a reciprocal, mutual attachment seemed to spring up between them. 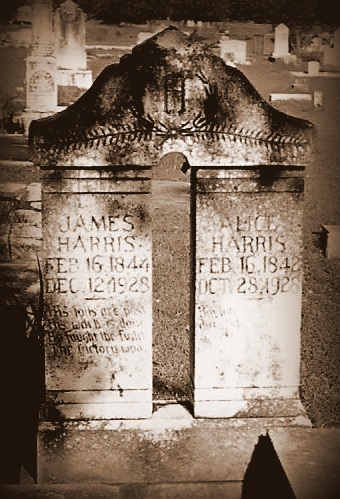 Before Mr. and Mrs. Hughes were married James Hughes and Phoebe Rice, their oldest son and daughter, were married. After the old folks married they brought all their children to live together. 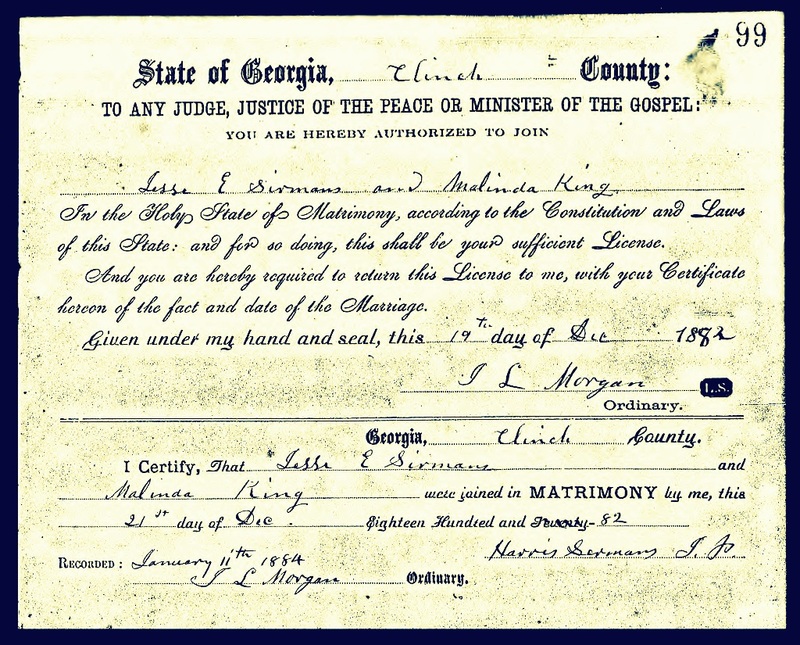 It was not long before Jasper Hughes and Theresa Rice, and Artemus Rice and Frankie Hughes were married at the same time. 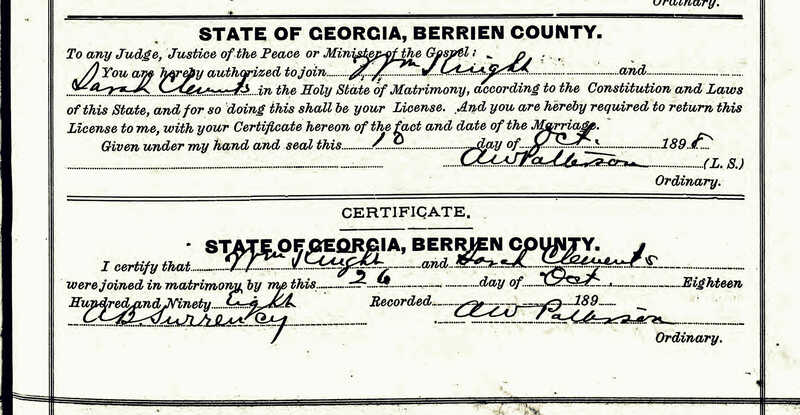 Afterwards Marion Hughes and Jane Rice were married at home also. Again and again would I tender my most sincere condolences to the sorely bereaved ones that are left here in these low grounds of sin, sorrow and death to mourn over the tragic end of their dearly loved parents and their irreparable earthly loss. Yet we trust they m ay realize consolation in looking through the dark clouds of sorrow and see a silver lining, assuring them that those for whom they mourn are freed from sickness and sorrow, pain and death are are secure in that land of everlasting security and eternal repose. O, may we all meet them safely there.